Use JobTrack's iCal button to easily view your time critical sales dates & job schedules on Google Calendar, Apple iCal or Microsoft Outlook. The new iCal button makes it so easy to integrate your JobTrack data with iCalendar* applications like Google Calendar. This means you can view time critical database information conveniently on your preferred on-line calendar application on your mobile or other devices. Imagine the benefits when your sales staff can see all their sales opportunity critical dates on their Google Calendar app or your Project Manager can quickly review job deadlines by day or week or month on their mobile device. You can simply click on your JobTrack iCalendar entry to instantly open the record in JobTrack to update or edit the item. iCal integrated Modules: Quick Start, Jobs, Quotes and Sales Opportunity. Repeat steps 1 and 2 on Quick Start, Sales Opportunities and Quotes modules to set up iCalendar feeds for each of those modules. 1. Go to the Jobs module and press the iCal button. 2. The system will generate a URL to add your Job dates to any iCalendar application like Google Calendar. 3. You can talk to us about customising your iCalendar feed to sort & display a tailored view of your JobTrack information and links back to modules: Quick Start tasks & events, Sales Opportunities, Quotes or Jobs. To subscribe to your JobTrack iCalendar feeds using Google's Calendar application follow steps 1 and 2 for each Calendar URL you have generated using the iCal button. 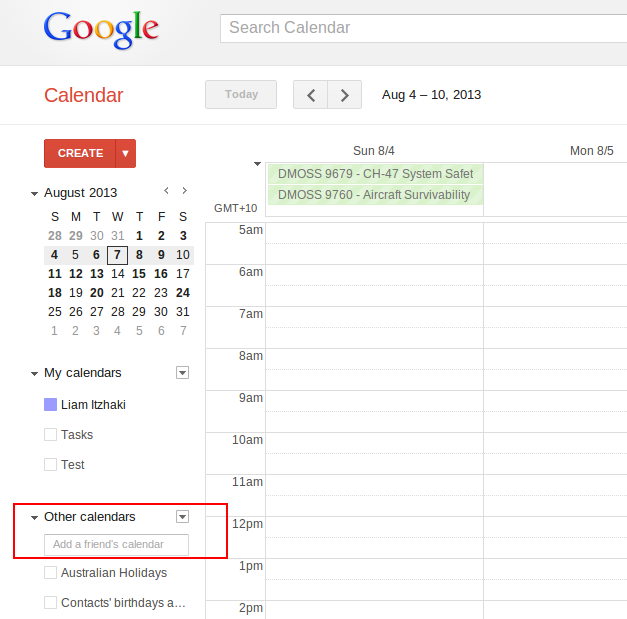 Go to your Google Calendar and In the left column, click on the Add link in the Other Calendars section. From the menu select Add by URL. Copy & paste or enter the Calendar URL in the dialog box then click Add Calendar. You should start to see your module dates in your Google Calendar and it will update according to your Google Calendar settings. To subscribe to your JobTrack iCalendar feeds using Apple's iCal program follow steps 1 and 2 for each Calendar URL you have generated using the iCal button. Open the iCal program (in Applications). From the Calendar menu select Subscribe. Type or paste the Calendar URL into the URL field then click Subscribe. You should start to see your module dates in your Apple iCal calendar and it will update according to your Apple iCal settings.